As the nation prepares for Independence Day celebrations, attention turns to fuel prices, which are peaking at a record price in advance of one of the biggest travel holidays of the year. In a couple of days we will all be lighting our barbecue grills, pulling the steaks and burgers out of the fridge, spraying on the insect repellant, putting the pontoons into the lake, and sitting back to enjoy the fireworks displays as we celebrate Independence Day. The nationwide identity theft epidemic hit home, recently. A couple of weeks ago, an automated service alerted me of some unusual activity on my wife's debit card. 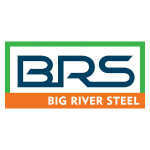 Big River Steel says it has closed on the financing needed to build its $1.3 billion steel mill near Osceola. Mrs. Catherine Deloes Kennedy, 53, of Blytheville, died Sunday at Heritage Square Nursing Center in Blytheville. On Monday, faculty and staff of the Blytheville Public Schools said goodbye to its administrative assistant to the superintendent, Lisa Stovall, who retied after 23 years of working in the district. The Gosnell School district has hired a new elementary principal, following Angie Middleton's retirement at the end of the 2013-14 school year. Mrs. Gloria Ruiz Sharpe, 63, of Marked Tree, died Monday, June 30, 2014, at her home.